Home » news » Interview with Ronnie Iverson! I recently got to speak with luge man Ronnie Iverson to ask a few questions and get some insight on this fast Ronin factory rider. Here’s how it went down. I’m in pain due to the fact that part of my finger is missing, but good. Oh you’re still a young buck. Do you have a nickname? Superfly? How did you get that nickname? I was expecting something like Ronnie “Shark Bait” Iverson. LMAO my bro Darin Kessing (aka The Pharmacist) and I got hooked up by Swak Eyewear. I was rocking their shades and Darin said I looked fly, then started calling me Superfly. 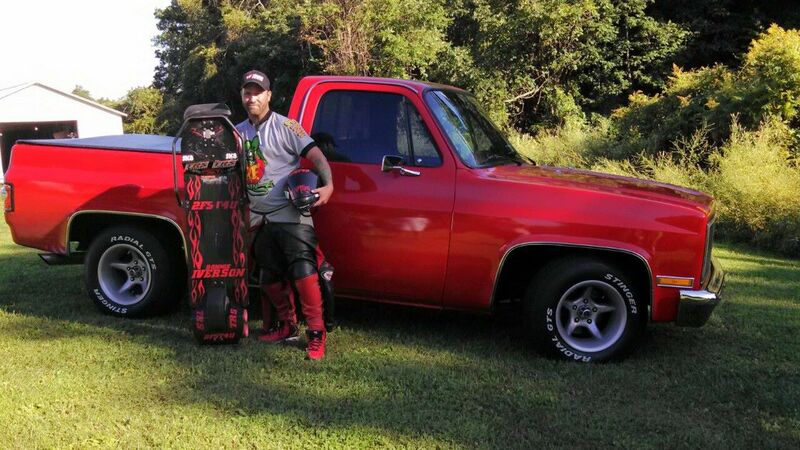 How did you get your start in Luge? See friends can be good influences. How long have you been at it? Rick Wilson, Steve Fernando, and Justin Crenshaw. What’s your top speed on a luge? The truck chasing us down the hill was going 75mph, so we had to be going 80mph. Wow, 80mph! What’s your setup? 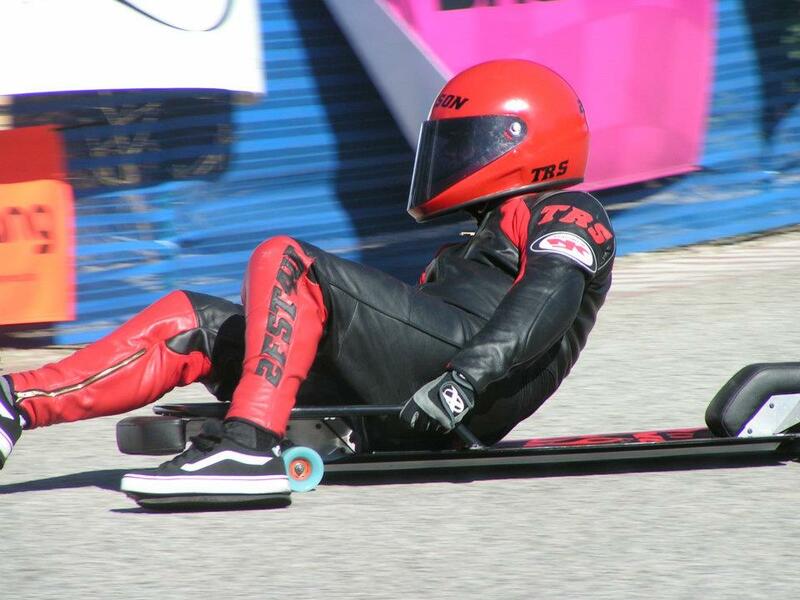 My luge is a TRS 8 Ball with 4 billet Ronin trucks. I ride Riptide WFB Bushings, Abec 11 wheels, and Biltin bearings. I love the way they handle corners at SPEED! What are your luge accomplishments? I placed 10th out of 35 riders in 2004 at Barrett Junction. It was a GP format race where all 35 riders raced at once. In 2007 I got 3rd in street and classic luge at the Bonelli NorAm IGSA World Cup. My proudest moment is placing 3rd in Masters street luge at MCGF in 2013, after breaking and dislocating my ankle there 5 years earlier. Going back to the same spot you got injured at had to add to the adrenaline rush! What are your luge goals? 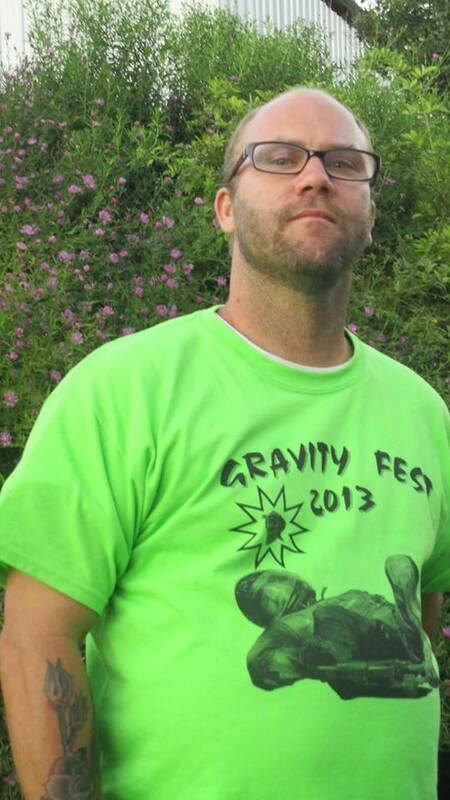 I’m aiming for first at MCGF (Madison County Gravity Fest) this year. I would also like to travel more and race in Australia. I ride as much as possible. What’s your favorite place that you’ve ridden? It’s fast with just enough technicality to make it a fun race. Do you have any advice for those wanting to get into luge? Always wear a helmet, don’t cross into the oncoming lane, HAVE FUN and BE SAFE! I broke and dislocated my ankle in Crash Corner, a 180º turn you have to brake and set up just right or your eating hay. My ankle was completely sideways and to the left, and had a giant lump the size of a grapefruit after breaking it. I’ve had seven injuries on my left ankle and none on my right. 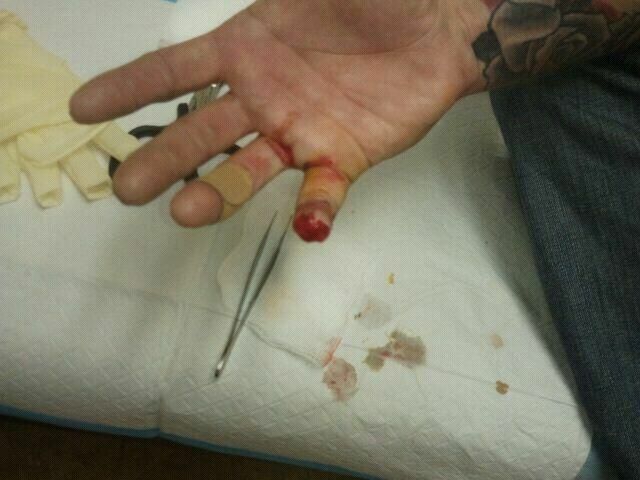 This one isn’t crash related, but I just cut off part of my finger from the tip to the bottom of the nail. Ouch! I saw the picture of your finger on Facebook and the shark bite comments. Looks painful! So what else are you into besides luge? I enjoy gardening, landscaping, and quality time with my wife and kids. I also like to cook and BBQ. A lot of people think I’m mad or mean because of my eyebrows. In reality I’m one of the nicest guys you will ever meet. (Laughing) Yeah I can see that. What’s your favorite beverage? Sierra Nevada Pale Ale, Popeye Energy Drink, Clobbering Clementine, and Anchoring Apple. I want to thank my wife Provvidenza, my son Vincenzo, and my daughter Adrenalena for their support. Rick Wilson, who sold me my first luge. Brad and Tracey and everyone at Riptide Bushings. Big Steve Conaway for supporting the luge scene. Steve Fernando of TRS Luge. Rick Wilson, who I still ride with. Loren Southworth, Rick Kludy and Justin Kludy. My Mom and the Nary family. I would also like to thank Popeye Energy. Jason Peterson, Torey Norell and all my buddies! And of course Fred and everyone involved at Ronin.